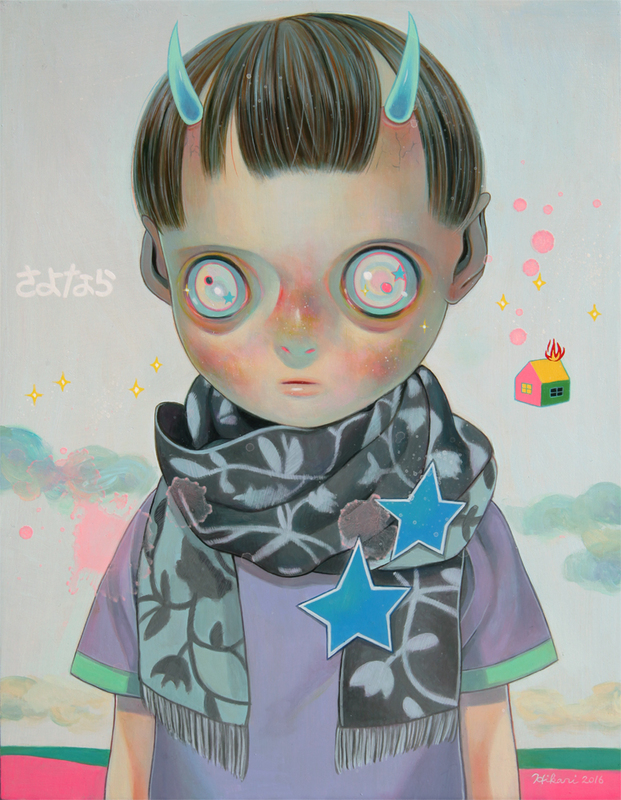 Home Blogs hikarishimoda's blog New Paintings for Corey Helford's "Below The Surface"
Hikari Shimoda has created two new paintings for the "Below the Surface" Group Show which opens this Saturday at Corey Helford Gallery 's Gallery 2 space in Los Angeles. 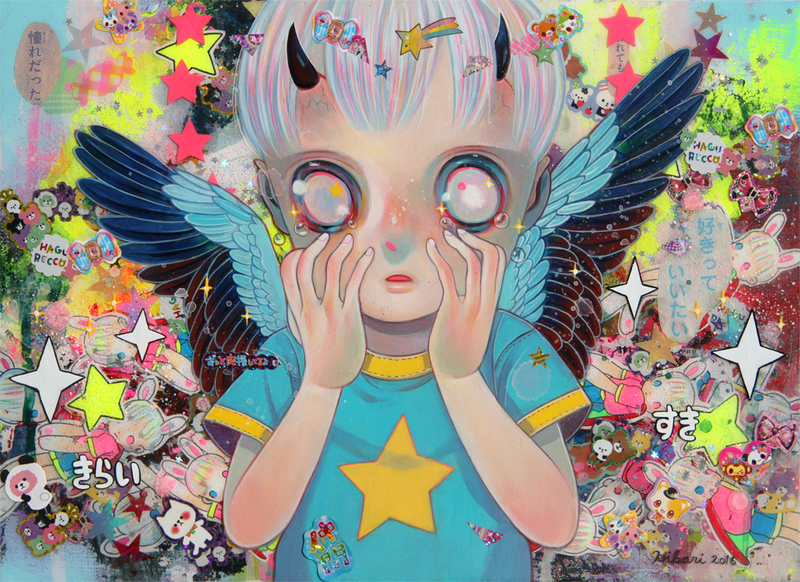 Hikari will be joining 30 internationally acclaimed artists from around the world in the group show featuring works that have a deeper, if not darker, meaning below their surface. For more information, please check out Corey Helford's website- you can also RSVP on Facebook! Read more about Hikari's pieces below. "Children of this Planet #37"
12 9/16 x 16 3/16"
I see the children that I draw as like a mirror image of myself and also the viewer. They do not speak a lot but rather they communicate with their expressions, and their emotion comes fom within, piercing through with their large eyes and horns on their head. It's in my concept of inner feelings that my work applies to the theme of "Below the Surface". "Heroes" are a figure created by man who is in need of a savior, but the hero's power is so great, that they might also destroy the human race, thus this piece is about this dilemma. The hero feels sorrow for the human race, and I drew this feeling of sadness and despair on his face. Furthermore, my work contemplates the idea of "Who will save the hero?" I ask viewers to think about this when looking at my piece. Corey Helford's "Below the Surface" exhibition will be on view through Saturday, March 19th. For previews and purchase inquiries, please contact: [email protected].